Children under 18 years of age can be seen free of charge via our NHS service. If you are 18 years old, and in full-time education, you are also entitled to free treatment. At Old Court House Dental Practice, we believe in treating patients of all ages professionally and with the highest level of care. We are also fortunate to offer NHS dental care especially for children. 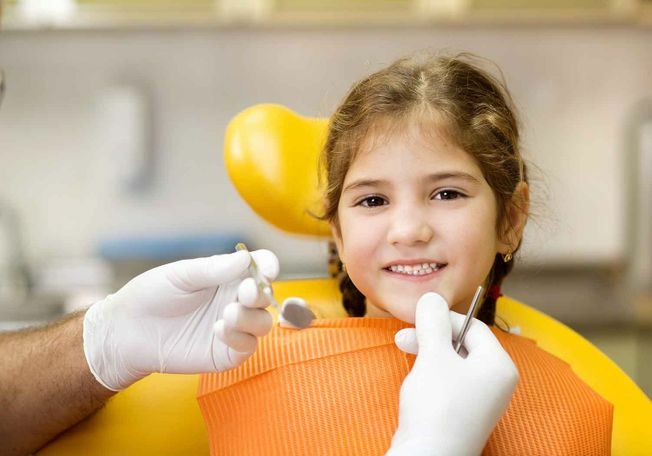 Those under 18 years of age can be seen by our dentists for their routine dental examinations, along with any treatment deemed necessary, without any charge. We are sure you will be more than satisfied with our approach to manage and care for the oral health needs of children. Certain treatment options can be considered on a private basis if required, such as the provision of sports mouth guards, hygiene appointments, and cosmetic orthodontics. We believe an early introduction to dentistry in a gentle manner, and creating a friendly environment is the key to preventing the fear and phobias towards dentistry, which often arise in later life while laying down good foundations for dental health in adulthood. Contact our team at OCH Dental in Dorking, Surrey, to learn more about NHS dental services for children.